Size = 32" x 10" x 12"
Some General Raccoon Information - Raccoons breed mainly in February and March with a gestation period of 63 days. Adult males travel within areas of about 3 to 8 square miles, compared to about 1 to 3 square miles for females. What Damage to raccoons do? The different types of damage which raccoons are capable of are almost too numerous to mention. In urban environments, raccoons are more than capable of finding homes in uncapped chimneys. tearing off shingles or fascia in order to gain entrance to an attic or wall void, tearing up lawns in search for grubs and earthworms, destroying gardens, and upsetting and eating the contents of garbage cans. In attics and wall voids, the build-up of raccoon feces and urine can constitute health hazards to the homeowner. In more rural environments, raccoons can be highly destructive in and around poultry barns. What bait should I use for raccoons? Fish, fresh or canned, honey or sugar covered vegetables, smoked fish, watermelon, sweet corn, cooked fatty meat, crisp bacon. Special favorite of the raccoon is marshmallows! Where should I place raccoons traps? Locate the trap in an area where raccoons are often observed. 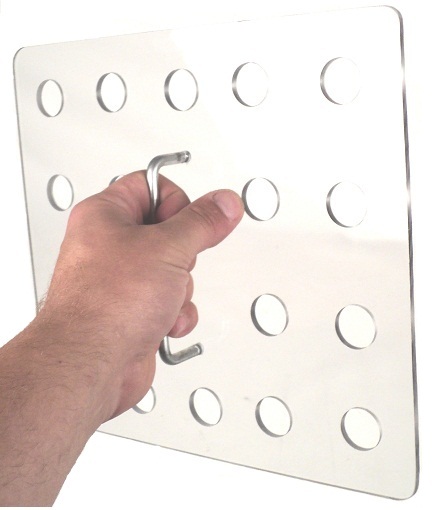 Place the trap on a level surface. Since raccoons tend to dig all the dirt up under the trap, place the trap on a flat piece of wood. Dispose of the wood after the raccoon is caught. 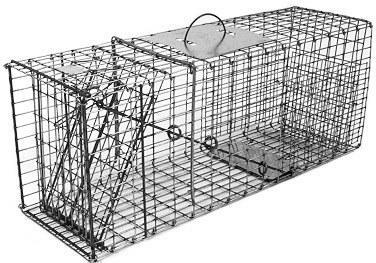 Position one side of the trap against a wall of a building or in a path commonly traveled by raccoons. Before handling the trap, you may want to spray with an insecticide because they often have fleas and ticks. Wear sturdy gloves to cover your hands, since raccoons and skunks carry many diseases. If there are known cases of rabies in your area, we suggest that you contact a professional animal removal service.